Anguilla hotels or a private villa? Anguilla hotels are only one lodging option on the tranquil island of Anguilla. 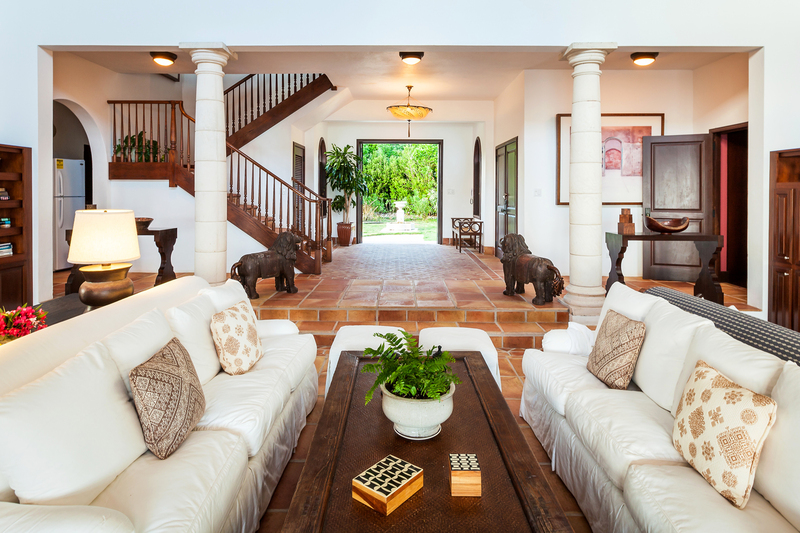 If you want a family-friendly, private, more homey alternative that offers upscale amenities and even more personalized service than Anguilla hotels, look to Villa Alegria. 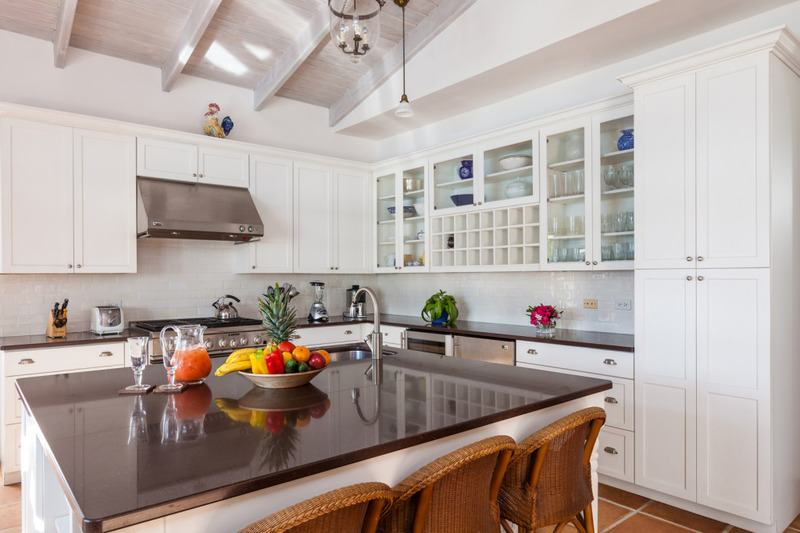 Why choose a villa over Anguilla hotels? Unlike Anguilla hotels, when you book Villa Alegria you have the entire property all to yourselves. 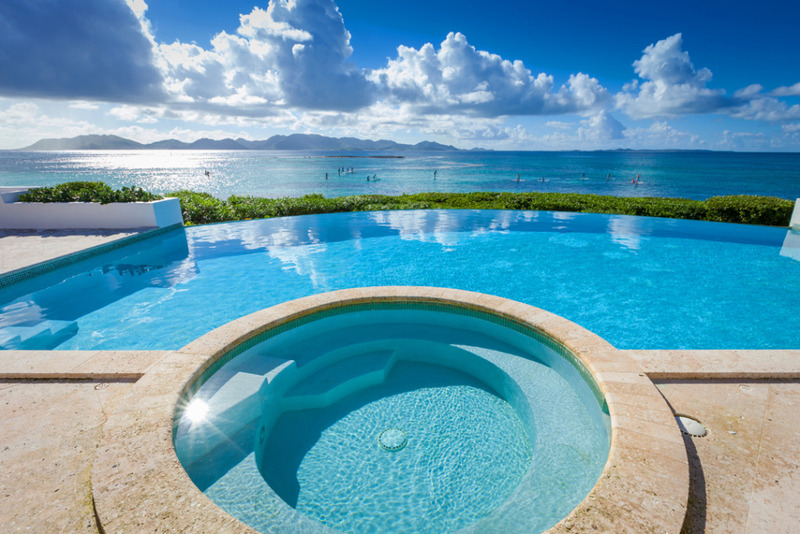 Hang out by the large infinity pool or in the jetted jacuzzi against a backdrop of blue sea, sky and the mountains of St. Martin without the hassle of other Anguilla hotel guests. Spend quality time with just you, your friends and family. Enjoy the convenience of being able to stock Villa Alegria’s gourmet, chef’s kitchen with your favorite snacks and drinks. Even better than an Anguilla hotel restaurant or room service, you can engage our optional private chef to cook for you at Alegria or deliver delicious, ready-to-heat meals to enjoy at your leisure. Each master-quality, private, air-conditioned bedroom has its own terrace or balcony and spa-like ensuite bathroom. 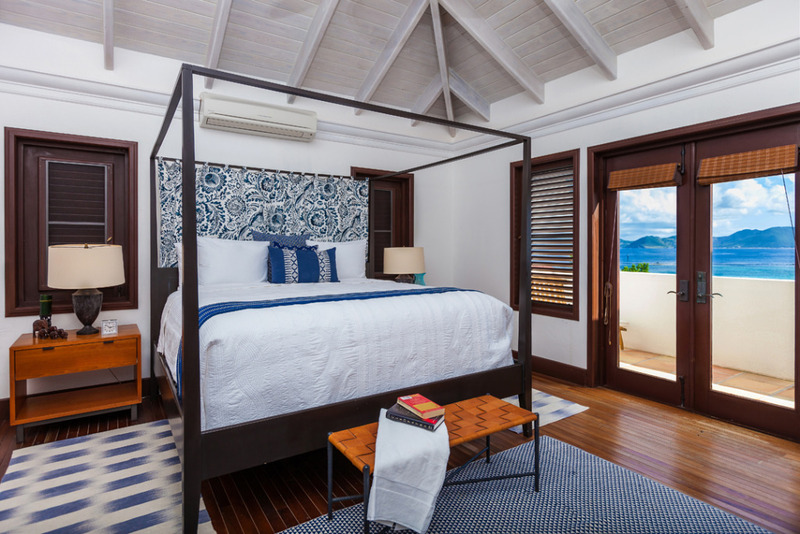 You and your guests can be together in the home, yet have the privacy you would have booking individual rooms at Anguilla hotels. Meet up for meals, laughs and fun and then retire to your own personal space to relax, refresh and revive. There are three rooms with king beds and one room with two full-size beds. The cozy media room has a comfortable queen-size pullout bed that can be used for a fifth bedroom. 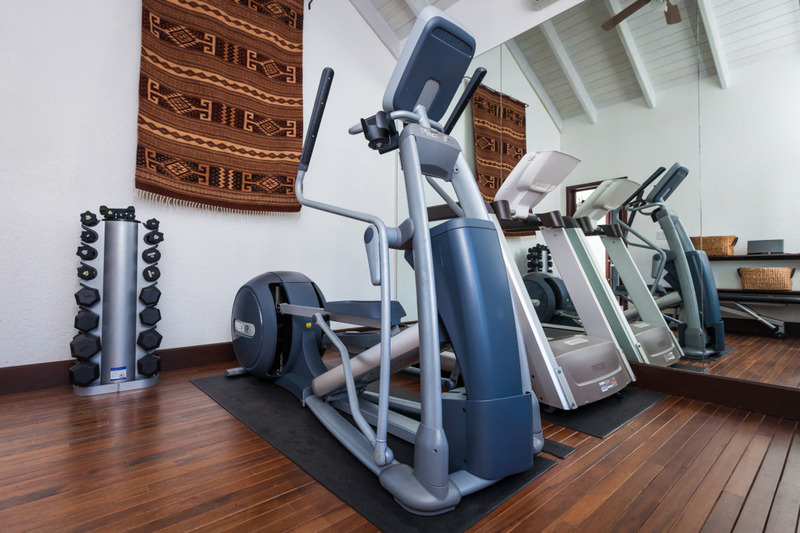 And when you want to work out, skip the shared gym at the Anguilla hotels and use your own indoor, private, air conditioned gym at Villa Alegria.